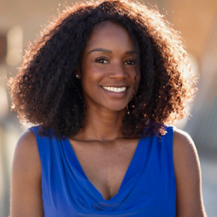 Nik Scott is an award-winning social media strategist and personal brand coach. The President and Co-Founder of Scott Media, Nik helps entrepreneurs, corporate professionals and start-up founders use social media to elevate their online brand and influence. An early adopter of online branding, Nik has established a reputation of helping leaders of all levels build and leverage their personal brand. 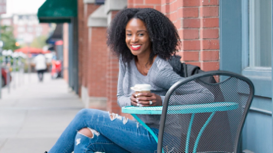 With a Bachelor’s Degree in Public Relations from Indiana State University and an MBA from Regis University, Nik Scott has more than just ’the letters after her name’ that make her stand out from the crowd. When it comes to professional success I believe there are 3 key factors. One is your leadership ability - how well do you inspire and motivate others and yourself. Two is level of expertise and skill set, meaning do you actually walk the talk. And third is about reputation. It’s one thing to ‘toot your own horn’, but building legitimate credibility is best done when others speak highly on your behalf. Nik Scott embodies all three of these factors and if you’re ready to see Nik in action click here and watch her short video entitled, 7 Ways to Brand Yourself. Or go ahead and click here to subscribe to her Youtube channel where she offers high value, short videos that give step-by-step instructions on everything related to branding. As a speaker, Nik is known for her authentic and conversational style. She often uses her keynote presentations to share her experiences and expertise at corporate conferences, women's leadership forums, collegiate programs and youth events. On a personal level I can’t say enough good things about this incredible woman. Yes, she is stunning, brilliant and kind ( I know, how unfair right?! ), and she keeps it real. While Nik has reached a level of success that most entrepreneurs strive for she continues to be authentic in her conversations about day-to-day struggles that affect her both personally and professionally and ultimately keep her grounded in who she is and whoshe is working to become. 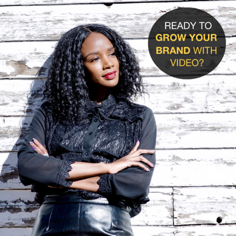 If you’re interested in working with Nik check out her current course where you’ll learn how to grow your brand with video. I could easily go on and on about all of Nik’s accomplishments but I think you’ll enjoy hearing aka reading it straight from her. Enjoy! 1. Why do you do what you do? Aka how do your values align with your work on a day to day basis? I do what I do because I’m passionate about helping people (especially women) discover their strengths and unique qualities so that they can leverage those assets to differentiate themselves from everyone else in their industry and field – specifically through social media. 2. Tell us a bit about your journey that has helped you get to where you're at today? My journey is very non-traditional. I hold two degrees, a BS in public relations and an MBA. I began my career in sales, transitioned to finance, then accounting and finally landed in the space where I am today – social media and personal branding. My journey into social media and personal branding started back in 2008 with a personal blog. See, the digital space (websites, blogging, social media, etc.) was not a thing when I was in college. Sure we had the Internet but it wasn’t anything like it was in 2008. Anyhow, I began blogging and quickly realized that people were actually reading the content I was publishing. I wanted to have greater reach so I started a YouTube channel in 2009, a Twitter account in 2010 and later a Facebook page. My following and reach on social media grew very quickly and during that time I was able to use my platform on social media to monetize my content – this was a game changer and the point where my company was established but it wasn’t until 2014 that I understood the connection between social media and personal branding. In 2014 I applied for a social media coordinator position at a local university. I was selected for that position out of more than 300 candidates. Even though I had no “formal” social media training at that time, I was told I was hired because of the documented and proven success in content strategy and branding found on my social media accounts. Enter personal branding. My brand spoke louder than my resume or even anything I said in my interview. I wasn’t just saying who I was. I wasn’t just showing it on paper. There was real evidence to prove my knowledge, skills and abilities to perform the job. This growing body of proof has been the thing that has positioned me to be where I am now as an entrepreneur and small business owner. Today, I work my company full-time. Throughout the years I have had to opportunity to work with many big brands on various social media and branding campaigns; Disney, Google and Unilever to name a few. Because I know how powerful a strong personal brand is to career and entrepreneurial development and growth, I desire to help as many people as I can unlock the power of their own personal brand. Personal branding is more than a buzzword. It’s more than a trend. Personal branding is becoming THE determining factor as to whether a company hires you or a prospective client chooses to work with you. 3. How has networking, both personally and professionally helped your business and/or career? We’ve all heard the saying “your network is your net worth” and many people sum this phrase up to mean just by being seen with certain people means that others will start to associate you with that crowd. While I do think there is something to be said about being associated with certain circles, networking is much broader than that. For me, I spin that phrase to “my connections keep me connected.” My connections keep me connected in the community, with events and with new connections. The one thing that increased my confidence over the years has been public speaking. I’ve been public speaking practically my entire life, but it wasn’t until recently that I realized the link between public speaking and my confidence. 5. What specific strategies or tactics do you utilize to maintain your various networks? I can’t say that I have any specific strategies or tactics, but to me the lifeblood of networking lies in not just meeting someone, following up and having coffee. Networking is the connection that I’m able to make with those people. Having a stack of business cards or hundreds of people you’re vaguely familiar with is meaningless to me if there isn’t a true meaningful connection that is made. 6. What challenges or obstacles have you faced along the way and how have you overcome them? In terms of networking, I have had to overcome a lot. I’m not shy by any means, but I’m also not the type of person who you’ll find working the room. I’ve grown comfortable with who I am and my style of networking. 7. What are your 'secrets' to success? I have one secret to success and that is to be unapologetically YOU in every situation. People throw the word "authenticity" around but I seldom see it being practiced. Sure there is room to adapt to your environment, however the core of who you are should be consistent across the board. 8. Where can people find you online or in networking situations to meet you in person? 9. Anything else you’d like people to know about you, your philosophy on networking or about business in general? I don’t have much else to add! Thanks for featuring me. :) I will leave with this, networking is a very important and unavoidable component of business – whether you’re an entrepreneur or traditional professional. There is no one-size-fit-all networking style. What works for some, might not work for others. Like personal branding, it’s important when networking to find what works for you and allow it to naturally evolve and progress. Thank you, Nik, for your sharing your wisdom with us. It’s truly an honor to know you and have you in our community! To connect with Nik directly click here!